From the moment you call us to ask a question or to schedule an appointment, you will be greeted by a friendly staff member. All of our employees share Dr. Tukara’s commitment to go the extra mile for our patients. We are a modern and sterile facility. Our well established office is located in London, Ontario (Lambeth). We also serve patients from the surrounding areas. 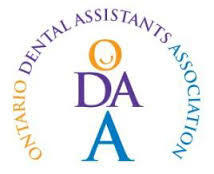 (RCDS), International Congress of Oral Implantologists (ICOI), College of Dental Hygienists of Ontario (CDHO), Ontario Dental Assistants Association (ODAA), and Canadian Federation of Independent Business (CFIB).